Balmoral Resources Ltd (TSE:BAR) (OTCMKTS:BALMF) announced today that Mr. Bryan Disher has joined the Company as a member of the Board of Directors. Balmoral Resources Ltd. (TSE:BAR) (OTCMKTS:BALMF) today reported the initial resource estimate for the Company&apos;s Grasset Ni-Cu-Co-PGE deposit. The Grasset deposit is located on the Company&apos;s wholly owned and royalty free Grasset Property, part of the Detour Trend Project in West-Central Quebec. Balmoral Resources Ltd. ("Balmoral" or the "Company") (TSE:BAR) (OTCMKTS:BALMF) advised its shareholders today that the Company will retain a 100% interest in its N1 and N2 gold properties, located along the Casa-Berardi-Douay Gold Trend in Quebec. Balmoral Resources Ltd. (TSE:BAR) (OTCMKTS:BALMF) reports that drilling has resumed on the Company&apos;s Detour Trend Project in Quebec. The initial focus of drilling will be on testing a number of recent gold/base metal discoveries and targets on the Company&apos;s wholly owned Grasset and Fenelon properties. With the calendar now showing 2016 I thought it appropriate to review Balmoral&apos;s accomplishments over the past 12 months. As well I wanted to provide you with some guidance and observations on what promises to be an active and highly prospective year for your Company. Balmoral Resources Ltd. (TSE:BAR) (OTCMKTS:BALMF) today announced that gold recoveries of 91.4% and silver recoveries of 80.2% have been achieved in preliminary metallurgical testing conducted on a composite sample comprised of material from the four principal gold bearing zones located along the Bug Lake Trend on the Company&apos;s Martiniere Property in Quebec. Balmoral Resources Ltd. (TSE:BAR) (OTCMKTS:BALMF) announces that it has successfully closed the second and final tranche of the previously announced non-brokered private placement. Balmoral Resources (TSE:BAR) are pleased to provide a Corporate Presentation for November 2015. Balmoral Resources Ltd. (TSE:BAR) (OTCMKTS:BALMF) today announced that the Company has intersected a very high-grade sulphide vein-breccia system in the immediate footwall to the H3 Nickel Zone, at the 425 metre vertical level, which returned 10.50% Ni, 0.74% Cu, 1.87% Pt and 4.87 g/t Pd over 7.50 metres. Balmoral Resources Ltd. ("Balmoral" or the "Company") (TSE:BAR) (OTCMKTS:BALMF) today reported results from the summer/fall 2015 drill program on the Company&apos;s wholly owned Martiniere Property in Quebec. 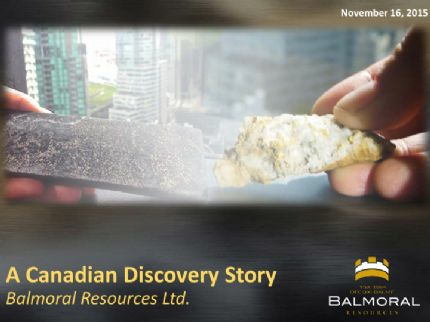 Balmoral Resources Ltd. (TSE:BAR) (OTCMKTS:BALMF) ("Balmoral" or the "Company") announces that it has successfully completed the previously announced (see NR15-14 dated October 15, 2015) non-brokered private placement (the "Offering"). Balmoral Resources Ltd (TSE:BAR) (OTCMKTS:BALMF) today announced the results of initial metallurgical testing conducted on drill core collected from the Company&apos;s wholly owned H3 Ni-Cu-PGE Zone located on the Grasset Project in Quebec. Initial testing of samples from two representative areas of the H3 Zone produced excellent nickel, copper and palladium recoveries. Balmoral Resources Ltd (TSE:BAR) (OTCMKTS:BALMF) announced that on-going expansion drilling has successfully extended the vertical depth of the core of the H3 Ni-Cu-PGE Zone by over 30%. Two holes, GR-15-87 and GR-15-90a, extend the higher-grade core of the Zone vertically by approximately 100 metres in the areas tested. Balmoral Resources Ltd. (TSE:BAR) (OTCMKTS:BALMF) today updated its ongoing resource delineation/expansion and exploration activities on the Company&apos;s Detour Trend Project in Quebec. Balmoral Resources Ltd. (TSE:BAR) (OTCMKTS:BALMF) advised today that the summer/fall 2015 drill program on the Company&apos;s Detour Trend Project in Quebec is underway with several holes already completed. Three drills are now active on the Project and will remain so throughout the summer and fall. 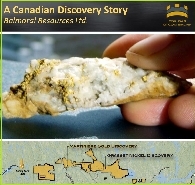 Balmoral Resources Ltd. ("Balmoral" or the "Company") (TSE:BAR) (OTCMKTS:BALMF) today reported the final results from the winter 2015 Bug Lake Gold Trend drill program on the Company&apos;s wholly owned Martiniere Property in Quebec. Results were highlighted by intercepts of 4.16 g/t gold over 38.19 metres, including a high-grade core of 25.05 g/t gold over 5.10 metres from the Lower Bug Lake Zone, and 17.71 g/t gold over 9.00 metres, including a high-grade core of 31.54 g/t gold over 4.99 metres from the Footwall B Zone. The summer 2015 Martiniere drill program is anticipated to commence in July. Balmoral Resources Ltd. (TSE:BAR) (OTCMKTS:BALMF) today reported final results from the winter 2015 Grasset drill program which targeted extensions of the Horizon 3 ("H3") Ni-Cu-PGE discovery. Balmoral Resources Ltd. (TSE:BAR) (OTCMKTS:BALMF) reports results from six exploration holes drilled along the Grasset Trend on its wholly owned Fenelon and Jeremie Properties in Quebec. Balmoral Resources Ltd. (TSE:BAR) (OTCMKTS:BALMF) today reported results for the first 9 holes from recently completed winter 2015 drill program on the Company&apos;s wholly owned Martiniere Property. The Martiniere Property forms part of the Company&apos;s 700+ square kilometre Detour Trend Project and is located approximately 40 km west of Balmoral&apos;s Grasset Ni-Cu-PGE discovery. Balmoral Resources Ltd. (TSX:BAR) (OTCMKTS:BALMF) reported initial results from the winter 2015 drill program targeting extensions of the Horizon 3 Ni-Cu-PGE discovery and additional nickel targets within the Grasset Ultramafic Complex. Balmoral Resources Ltd. (TSE:BAR) (OTCMKTS:BALMF) reports that geological, geophysical and drill crews have been mobilized to the Company&apos;s Detour Trend Project in Quebec and have commenced the planned $4.5 million winter 2015 exploration program. Balmoral Resources Ltd. ("Balmoral" or the "Company") (TSE:BAR) (OTCMKTS:BALMF) reported the final results of the summer/fall drill program on the Company&apos;s wholly owned Grasset Property in Quebec. Drilling has now extended the Horizon 3 Ni-Cu-PGE Zone to a depth of 400 vertical metres. Balmoral Resources Ltd. (TSE:BAR) (OTCMKTS:BALMF) reported today that over 50 discrete electromagnetic conductors have been outlined along the interpreted trend on the Grasset Ultramafic Complex, which hosts the Company&apos;s recent Grasset nickel-copper-PGE discovery. Balmoral Resources Ltd. (TSE:BAR) (OTCMKTS:BALMF) reported final results from the 2014 summer drill program on the Company&apos;s wholly owned Martiniere Property in Quebec. Results from 13 holes along the Bug Lake Trend were reported, 7 from the northern extension of the Trend and 6 from the fault offset area which separates the northern and southern segments of the Bug Lake Gold Zone. 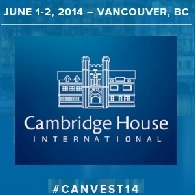 Balmoral Resources Ltd. (TSE:BAR) (OTCMKTS:BALMF) announces that it has closed the previously announced (see NR14-25 dated October 15, 2014) flow-through private placement with a syndicate of underwriters led by Canaccord Genuity Corp. and including RBC Capital Markets and PI Financial Corp.
Balmoral Resources Ltd. (TSE:BAR) (OTCMKTS:BALMF) is pleased to announce that Balmoral&apos;s exploration team has been recognized, for the second consecutive year, as the "Prospectors of the Year" in the Province of Quebec. Balmoral Resources Ltd. (TSE:BAR) (OTCMKTS:BALMF) reported that it has received a total of $2,006,373 from the exercise of warrants which expired October 17, 2014. An additional 470,588 warrants, held by a single subscriber, are eligible to be exercised on, or before, October 30, 2014 at a strike price of $0.75. Balmoral Resources Ltd. (TSE:BAR) (OTCMKTS:BALMF) reported results for on-going testing of the Horizon 3 nickel-copper-PGE discovery on the Company&apos;s wholly owned Grasset Property in Quebec. Drilling continues to rapidly expand the size of the Ni-Cu-PGE mineralized zone. Balmoral Resources Ltd. (TSE:BAR) (OTCMKTS:BALMF) is pleased to announce that as at the close of trading on Friday, September 19, 2014 Balmoral will be added to the S&P/TSX SmallCap Index. Balmoral Resources Ltd. (TSE:BAR) (OTCMKTS:BALMF) today provided an update on exploration activities on its Detour Gold Trend Project in Quebec. Drilling continues on the Project with two drills. Results from 40 holes remain pending and are anticipated over the next several weeks. Balmoral Resources Ltd. (TSE:BAR) (OTCMKTS:BALMF) today reported high-grade nickel-copper-PGE intercepts from each of the first eight holes targeting its recent Horizon 3 discovery on the Company&apos;s wholly owned Grasset Property in Quebec. Balmoral Resources Ltd. (TSE:BAR) (OTCMKTS:BALMF) announced today that it has commenced a low-level, high resolution airborne electromagnetic ("EM") survey which will target additional occurrences of nickel-copper-PGE mineralization within the Grasset Ultramafic Complex ("GUC"). Balmoral Resources Ltd. (TSE:BAR) (OTCMKTS:BALMF) reported today that it has completed three property acquisition agreements which secure 100% ownership of the remaining 2.3 kilometres of projected strike extent of the Grasset Ultramafic Complex ("GUC") not previously held by the Company. Balmoral Resources Ltd. (TSE:BAR) (OTCMKTS:BALMF) reported today that it has received First Option Vesting Notice under the Northshore Property Agreement from GTA Resources and Mining Inc. (TSXV:GTA). Balmoral Resources Ltd (TSE:BAR) (OTCMKTS:BALMF) announced today that drilling has resumed on the Company&apos;s wholly owned Martiniere Gold Project located along the Detour Gold Trend in Central Quebec. Drilling at Martiniere will initially focus on further testing of the southern segment of the Bug Lake Gold Zone following the success of the winter 2014 drill program in this area. Balmoral Resources Ltd. (TSE:BAR) announces that it has closed the previously announced flow-through private placement with Canaccord Genuity Corp. With full subscription of the over-allotment option granted to Canaccord Genuity, the Company has issued 2,580,000 flow-through common shares. Balmoral Resources Ltd (TSE:BAR) (OTCMKTS:BALMF) announced today that drilling to follow up the recent discovery of high-grade nickel-copper-PGE mineralization on the Company&apos;s wholly owned Grasset Property in Central Quebec has resumed. Balmoral Resources Ltd. (TSE:BAR) (OTCMKTS:BALMF) today confirmed the discovery of high-grade nickel-copper-PGE mineralization associated with the previously highlighted net textured sulphide zone in hole GR-14-25. Balmoral Resources Ltd. (TSE:BAR) (OTCMKTS:BALMF) today reported the results of the winter 2014 drill program on the Company&apos;s wholly owned Martiniere Property. Results are highlighted by an intercept of 1,138 g/t (33 oz/ton) gold over 4.87 metres from the Bug Lake Footwall Zone, which includes a property record intercept of 9,710 g/t (312 oz/ton) over 0.57 metres. Balmoral Resources Ltd. (TSE:BAR) (OTCMKTS:BALMF) reported that the latest hole to test the Company&apos;s Grasset Ni-Cu-PGE discovery, hole GR-14-25, has intersected 41.00 metres of heavily disseminated to semi-massive "net-textured" sulphide mineralization, including a 1.09 metre massive sulphide interval. Balmoral Resources Ltd. (TSE:BAR) (OTCMKTS:BALMF) announced that it has completed the field component of its large-loop surface and borehole EM surveys on the Company&apos;s Grasset Property and has resumed drill testing of the Grasset Ni-Cu-PGE discovery. Balmoral Resources Ltd. (TSE:BAR) (OTCMKTS:BALMF) today confirmed the presence of an extensive zone of nickel-platinum-palladium (+/-copper) mineralization on its wholly owned Grasset Property in Quebec. Results include the first massive sulphide intercept from the property. Balmoral Resources Ltd. (TSE:BAR) has been advised by GTA Resources and Mining Inc. that an initial National Instrument 43-101 resource estimate is currently being completed for the Afric gold zone on the company&apos;s Northshore property in Ontario. Balmoral Resources Ltd. (TSX:BAR) (OTCMKTS:BALMF) is pleased to announce that Mr. Dan MacInnis (P.Geo) has joined the Company as a member of the Board of Directors, effective February 5, 2014. 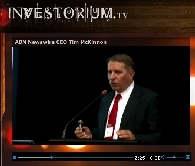 Balmoral Resources (TSE:BAR) CEO Darin Wagner presents at Investorium.tv Live Webcast from the Fairmont Pacific Rim in Vancouver on January 20, 2014. Balmoral Resources Ltd.&apos;s (TSE:BAR) (OTCMKTS:BALMF) crews have arrived into the Martiniere and Fenelon exploration camps on the company&apos;s wholly owned Detour Gold Trend project in Quebec in preparation for the commencement of the winter 2014 drill program. Balmoral Resources Ltd. (TSE:BAR) has discovered four new occurrences of gold mineralization and a new volcanogenic-massive-sulphide-base-metal system on the company&apos;s wholly owned Detour gold trend project in Quebec. Balmoral Resources Ltd. (TSE:BAR)(OTCMKTS:BALMF) continued to report high-grade gold results from its Detour Gold Trend Project including an intercept of 27.05 g/t gold over 6.22 metres from the Bug Lake Footwall Zone. 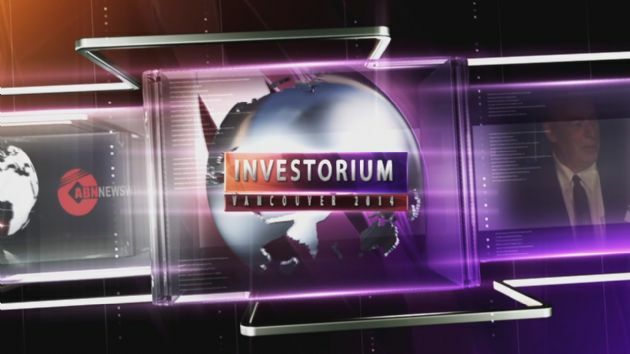 Balmoral Resources (TSE:BAR) CEO Darin Wagner will be presenting at Investorium.tv Live Webcast from the Fairmont Pacific Rim in Vancouver on January 20, 2013.